LEGO blocks are one of the most enduringly popular toys around. With endless possibilities for reinvention, they challenge minds and cultivate creativity. But as much as we love these colorful little blocks, we have to say that it wouldn’t hurt if they were also a little more eco-friendly. But here comes a sustainable take on the classic block from Japanese firm Colors Tokyo. Fashioned from environmentally friendly materials, the company’s Earth Blocks are an exciting prospect for educating kids on green building. 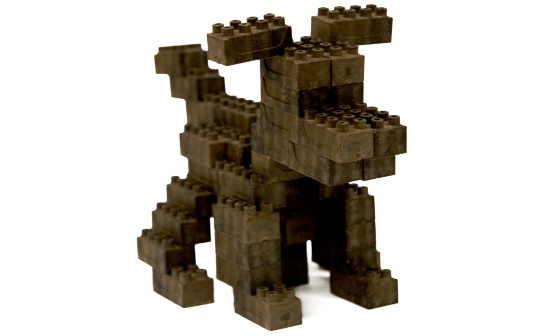 Earth Blocks are created from a composite of cedar tree bark, coffee beans, tea chaff and other recycled materials. 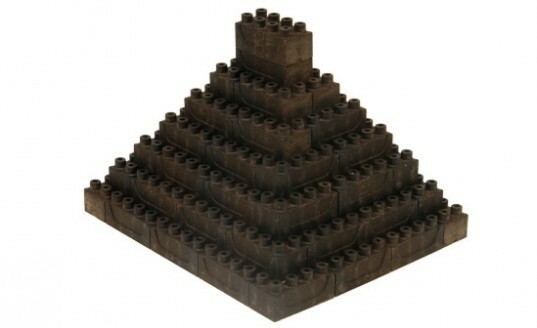 The Blocks come in four, rather mature earth-tone shades, which along with their price, almost certainly targets them at the eco-aware market over those looking to construct their replica Death Star. Delighting all the senses, their Green Tea blocks are even said to give off the subtle sweet fragrance of the material. The recycled material causes the blocks to be a little softer than plastic LEGOs, and with gently curved edges we hear they don’t snap and lock together quite as securely as their Danish counterparts. But from what we’ve seen so far, they can hold together to make some fairly cool, funky decor. Earth Blocks are on sale at the Guggenheim Store, $30 for a set of 50. Wood isn't necessary sustainable if it is shipped all the way around the world. If you are living in Europe the plastic LEGO blocks might even be more sustainable than these wooden bricks simply because the truck only has to drive from Denmark to for instance Germany. LEGO blocks are one of the most enduringly popular toys around. With endless possibilities for reinvention, they challenge minds and cultivate creativity. But as much as we love these colorful little blocks, we have to say that it wouldn't hurt if they were also a little more eco-friendly. But here comes a sustainable take on the classic block from Japanese firm Colors Tokyo. Fashioned from environmentally friendly materials, the company's Earth Blocks are an exciting prospect for educating kids on green building.